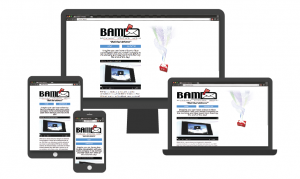 Does your website need a refresh? 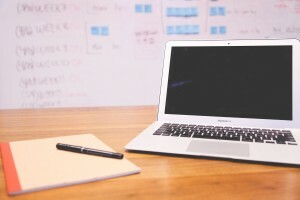 Do you need a brand new site designed and built? Whether it’s just a simple website refresh or a complex new site, our website developers can solve the problem and make the process easy. 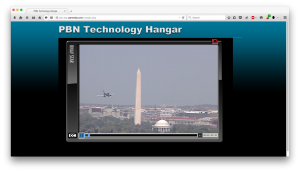 A website has seconds to prove its worth to a visitor. 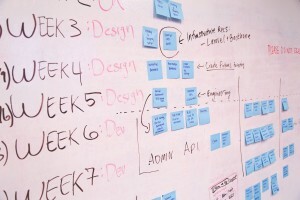 With attention spans continuously decreasing, we can make sure your site is always engaging. Using creativity and best practices in web design, our creative services and web development team focuses on visual appeal, usability, responsive design, branding, and custom programming. We provide web design and development services that meet your unique requirements. We are experienced in CMS systems like WordPress, Drupal, and Joomla. We are a web development company, and as such we design, build, and deploy every web page for boosted Search Engine Optimization results. Part of SEO is ensuring your website has relevant and useful content. CATMEDIA will help you determine the key words, terms, and phrases that your target customers search for. With our understanding of SEO and our background in web development, we can help propel your site to the front page of search engine results. 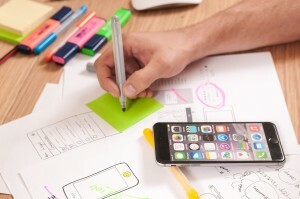 As a responsive web design company, we develop websites using creativity, best practices, and the latest web design techniques to carefully design, develop, and build responsive web sites that are usable across mobile devices and desktop computers. Since 2014, browsing from mobile devices, like phones and tablets, officially overtook desktop computer web browsing. That means that there are now more people browsing the Internet from their phones than from a computer! With dual compatibility, your website can be viewed at home, on the sidewalk – anywhere with internet access, giving your site exponentially more exposure and coveted web-traffic. Keep your time free to do the things you need to do, by letting CATMEDIA manage your website maintenance needs. Website maintenance typically requires minor fixes, updates to website text and images, and updates to a Content Management System (CMS) like WordPress, Drupal, or Joomla. If more complex changes to the website are required, we will assess the changes to determine the impact their impact on the website. CATMEDIA is well-versed in Section 508 compliance. We have a winning track record of delivering a variety of Section 508 compliant projects. We have a history of completing successful web-based projects in the government sector, where Section 508 compliance is mandatory. Federal Aviation Administration, Runway Safety – CATMEDIA designed, developed, produced and delivered three web-based educational/instructional interactive programs designed to help itinerant pilots operate safely – avoiding runway incursions – on the surface of three general aviation airports: DeKalb Peachtree Airport (PDK) in Atlanta, Georgia; General Mitchell International Airport (MKE) in Milwaukee, Wisconsin; and North Las Vegas Airport (VGT) in Las Vegas, Nevada. 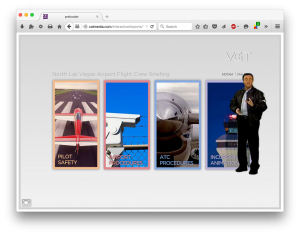 CATMEDIA designed, developed, produced and delivered three web-based educational/instructional interactive programs designed to help itinerant pilots operate safely. 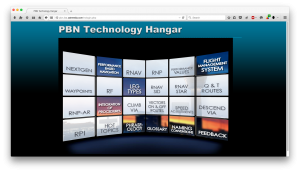 Federal Aviation Administration, Performance Based Navigation Technology Hangar – CATMEDIA produced an interactive tool for the Air Traffic Organization, specifically the RNAV/RNP group. 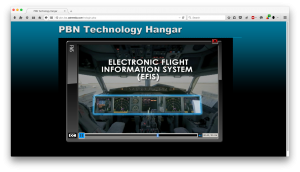 This web-based tool is used to help alleviate confusion regarding Performance Based Navigation and related concepts, and to allow the RNAV/RNP leadership to consistently keep all stakeholders apprised of the organization’s mission, vision, history, technologies, current status and future direction. 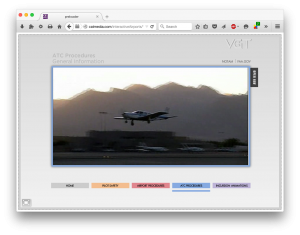 The tool features live-action footage, and animations and can be updated in the future, if needed. 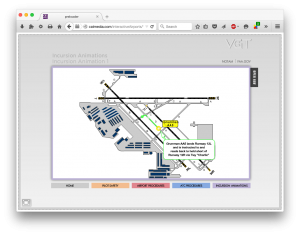 CATMEDIA produced an interactive tool for the Air Traffic Organization, specifically the RNAV/RNP group. 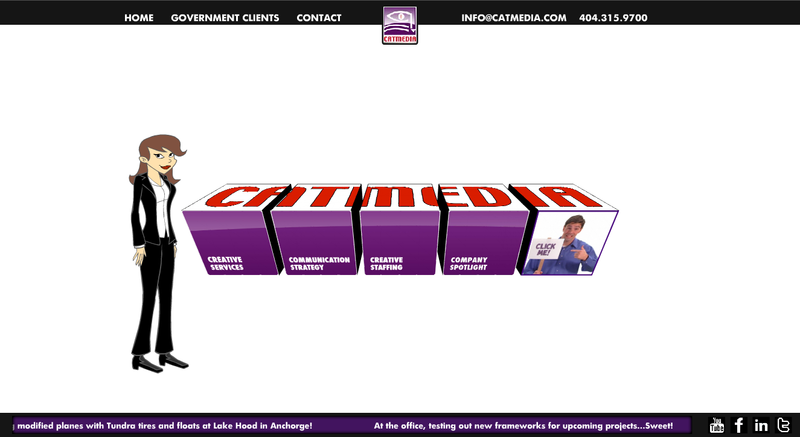 Flash Web Site,CATMEDIA.com – CATMEDIA recognized our need for a website that would showcase the range of our services, educate our clients about our core competencies, and demonstrate firsthand our interactive multimedia capabilities. Our entire creative team and office support staff collaborated under the direction CATMEDIA’s CEO, to create, design, write, develop, and launch our website with the latest technologies available at that time.